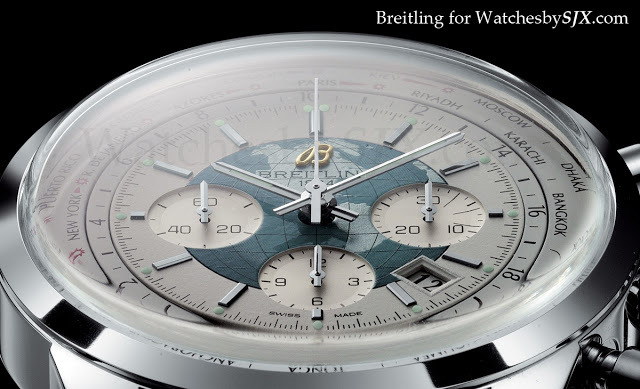 Baselworld 2012 has seen several interesting travel watches emerge. 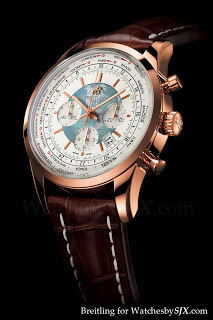 The now famous Rolex Sky-Dweller with annual calendar and the clever Chapter Three Reveal from Maîtres du Temps. 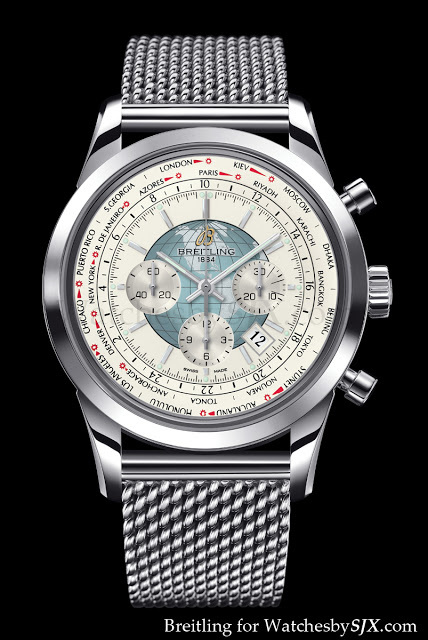 But for those who want something a bit more down to Earth (no pun intended since Breitling makes “pilot’s” watches), the Breitling Transocean Unitime looks like a good option. 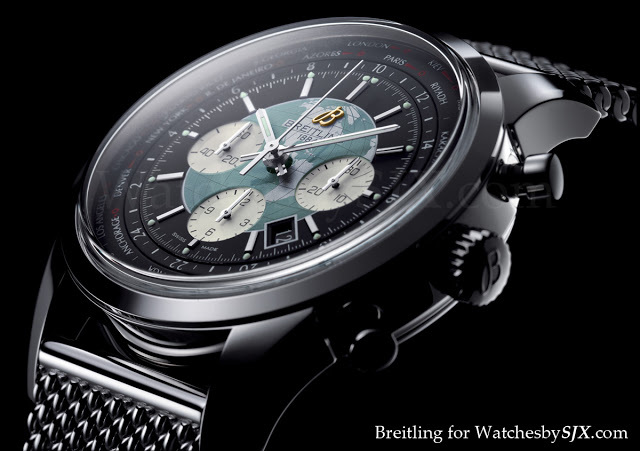 The slightly vintage styled Unitime has a straightforward world time mechanism. 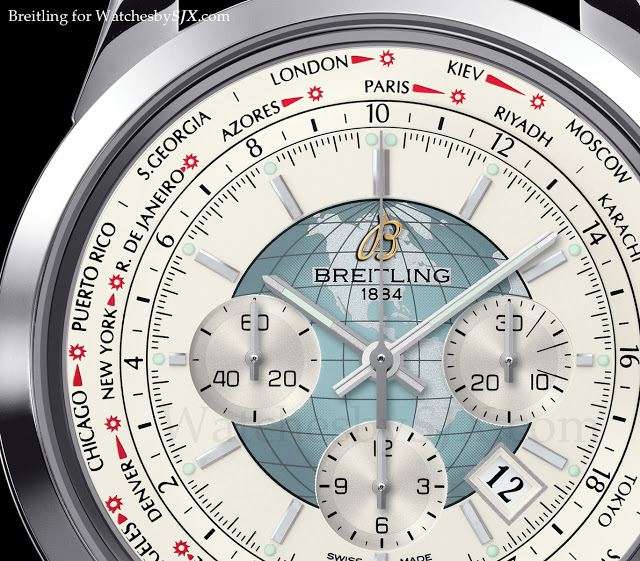 The dial has one disc with 24 cities for the 24 time zones, and another inner disc with 24 hours to indicate the second time zone. Because there are two discs, the time in any time zone on the cities disc can be read off the 24 hour disc. When the crown is pulled out and turned, the cities disc, 24 hour disc and the hour hand all turn in sync, together with the date. All of that can be advanced forward or backward. In addition the cities disc allows for Daylight Savings Time in summer as well, with the red arrow next to the city name. The movement is the in-house Breitling Calibre 05, based on the B01 chronograph movement. 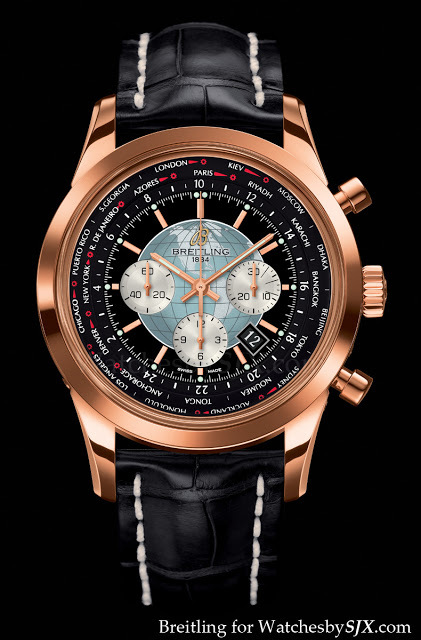 The case, available in steel or rose gold, is 46 mm in diameter, with the choice of black or white dials. And the steel version is also available on the retro looking Ocean Classic mesh bracelet.